All data and information provided on this site is for informational purposes only. Rheumatoid Arthritis Warrior makes no representations as to accuracy, completeness, suitability, or validity of any information on this site and will not be liable for any errors, omissions, or delays in this information or any losses, injuries, or damages arising from its display or use. Information may not always be current. No guarantees are expressed or implied. All opinions in regular posts on this website are the sole responsibility of the site owner, Kelly O’Neill Young aka RA Patient Insights, LLC, and are not the opinions of any other organization, business, employer, spouse, kids, church, or any other agency. If you feel the need to challenge me, please feel free to do so in the comments sections which are allowed below each post. Just keep it polite since I reserve the right to delete inappropriate or abusive comments. If I make a mistake, I will attempt to correct it. Please contact me if you find a correctable error. What I write here is not to be taken as medical counsel or endorsement of any treatment for rheumatoid arthritis or any other disease. I am not a medical doctor. My words are not the replacement for professional medical advice. Rheumatoid Arthritis Warrior is dedicated to bringing news and articles of interest to rheumatoid arthritis patients, their loved ones, and care givers worldwide. The site makes heavy use of news articles found online. However, some sites may not archive stories, and they will disappear from the internet after some time. I apologize if the link you follow is no longer in existence, but I have no control over that. On occasion, website domains change hands, become unavailable, expire, or link to inappropriate sites. While all effort is made to verify these things periodically, Rheumatoid Arthritis Warrior is in no way responsible for offsite content. Rheumatoid Arthritis Warrior strives to remain family friendly, but cannot guarantee that for offsite links. All photographs and other images are the property of Rheumatoid Arthritis Warrior and copyright is owned by Kelly O’Neill Young. Any borrowed images and photos will be properly credited. 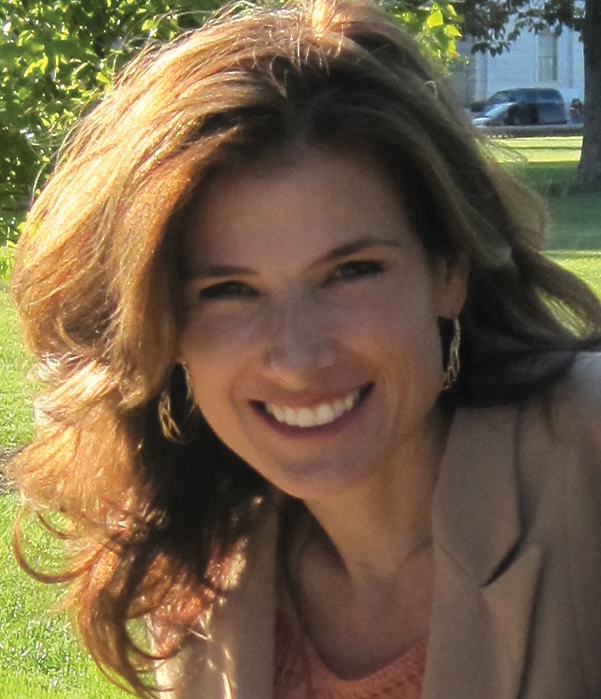 All articles are copyrighted © by Rheumatoid Arthritis Warrior and / or Kelly O’Neill Young. Rheumatoid Arthritis Warrior allows fair use of quoted articles, but pages may not be republished in their entirety anywhere on the web. Scrapers, spammers, spam blogs, and plagiarists are the reprehensible and will be served with a DMCA takedown notice if they are found to be using my content. If you would like to reprint any article from this site, please contact me directly for prior permission. Content from this site used on other sites should credit Rheumatoid Arthritis Warrior and link to this site. Use without credit and permission is a copyright violation. 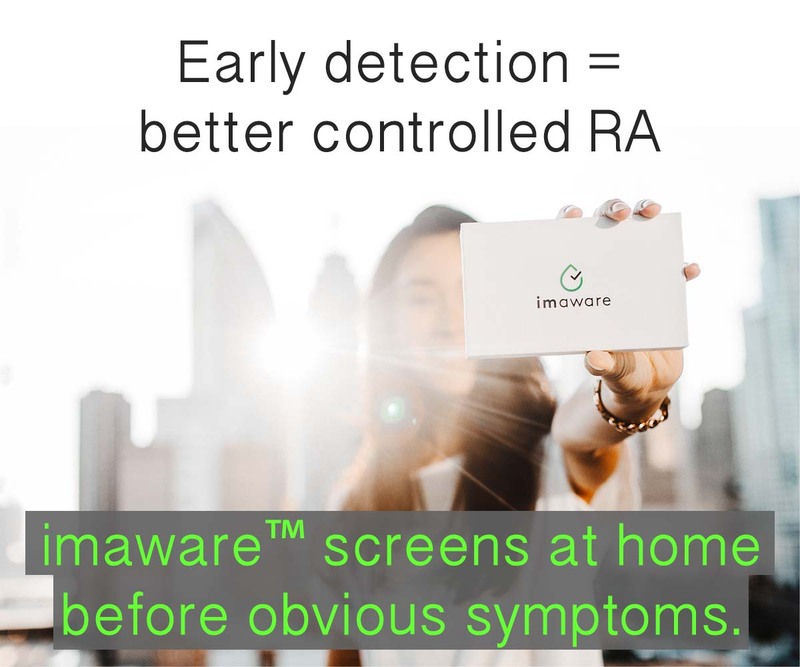 If you are not reading Rheumatoid Arthritis Warrior directly on the site, in your email, an RSS reader, or on certain legitimate news sites, it is requested you contact me immediately so I can determine whether there is a violation. This site has been fully funded by its author with the following exceptions. Advertising: Due to the high cost of maintaining this site, Rheumatoid Arthritis Warrior does accept advertising. Occasionally, ads personally screened by me may appear below the content section. They will be clearly indicated. Additionally, this site uses advertising services such as Google and others. I have a limited amount of control over that content, but I make every attempt to insure that is is appropriate. The ads often are distinguished by the word “Advertisement.” Rheumatoid Arthritis Warrior articles are free from commercial influence. 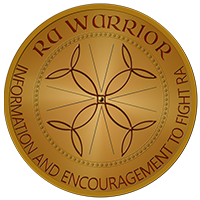 RA Warrior is also a participant in the Amazon Services LLC Associates Program, an affiliate advertising program designed to provide a means for sites to earn advertising fees by advertising and linking to Amazon.com. For more on advertising, please see the Advertising page here. An email newsletter may be handled by an outside service known as Feedburner, requiring a double opt-in. You have to list a valid email, confirm that you want the email delivery through a clickable link in the confirmation e-mail. You may have to temporarily disable your spam blocker in order to receive the confirmation email. Privacy: Nothing on this site is represented to be an exhaustive account of the health or biography of its author. The author reserves all legal and ethical rights to protect personal information including but not limited to medical information, private friendships, personal relationships, and dessert choices. The author’s statements on this site are represented to be true and accurate to the best knowledge of the author, as is required of commenters (see Comment Policy of this Disclaimer, below). The author of this site is not obligated to provide personal information in response to readers’ requests, comments, or various rumors. Rumors: Refusal to respond to rumors shall not be construed to be acknowledgement of truth of said rumors. False accusations written online about public figures are occasionally legally liable, but always morally answerable. Victims of rumors are not obligated to discuss private information or attempt to prove innocence, thereby empowering rumormongers. Topics: No statement on this site implies anything about its author unless specifically stated. The author has the right to write about any topic. Topics are not limited to those which the author personally experiences. Choice of topics concerning diagnoses, treatments, symptoms, or situations such as Breast cancer, Ankylosing Spondylitis, smoking, weaning from prednisone, depression, lung disease, and rice bodies imply nothing about the author of this site. If you’re using a comment to sell something (also known as spamming) or to encourage someone to visit your site for the purpose of selling medications, insurances, etc., your comment will be removed immediately and your IP address will be banned. Please be polite. Remember the Golden Rule. Discussions are welcome, but keep it nice. Rheumatoid Arthritis Warrior is the sole arbiter of whether a comment is libelous, hurtful, or otherwise inappropriate. By leaving a comment on this site, you understand that the words you write are viewable by the public, including your doctor, spouse, or mother-in-law. Your comments are your own and Rheumatoid Arthritis Warrior is not responsible for any harm caused by them before they are removed. Commenters should post information which they believe to be true, providing source for medical information unless it is their personal experience. Information provided in comments is designed to complement, not replace, that provided by a patient’s own physician. Guest posts contain the views of the respective authors only. Rheumatoid Arthritis Warrior is not responsible for any errors or copyright violations of guest authors. This page was created 9/24/2009. Edited 5/31/12 to add Rights of Owner. Edited 12/4/17 to correct spelling error.